You were wondering how it is to work as a women in pharma manufacturing? 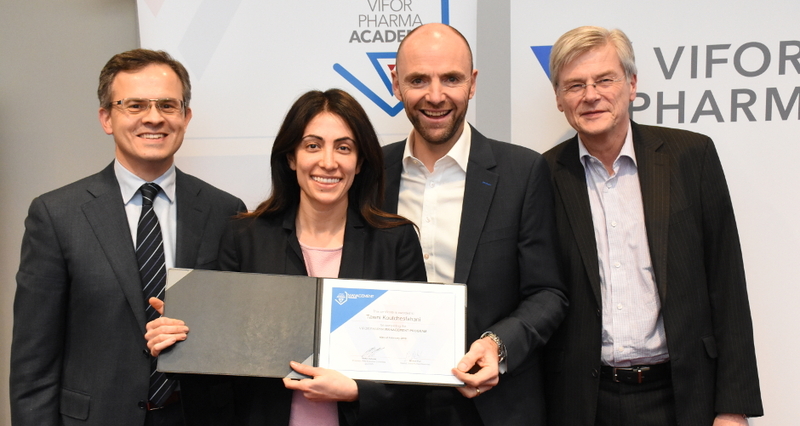 Tawni Koutchesfahani, Director Manufacturing Strategy at Relypsa – a Vifor Pharma Group company – talked with us about her career in manufacturing and the opportunities of millennials in an increasingly digitalized environment. Tawni, you recently spoke to Life Science Leader about being a multicultural millennial women in the pharmaceutical manufacturing industry. Can you tell us about your background and why you decided to work in manufacturing? I started my first job in the biotech sector as a manufacturing operator, after I graduated with a degree in chemical engineering. This first job made me understand very quickly how it takes to make a product and be manage to get out the door for our patients. I realized my passion was in operations. I soon then was presented an opportunity to move into a process development engineering role. I learned a lot, but was missing the fast pace, and understanding of the bigger picture. Thus, I decided to submerge myself into operations where I spent my time in manufacturing, quality, and manufacturing engineering. These roles taught me to understand how to decide in a methodical manner, how to be rapid in your decision making, and t the importance of pulling your support teams from the start to build a risk-based decision. As a more junior, female counterpart, how did you distinguish yourself amongst more experienced, male counterparts? It was paramount to me to lead my behavior in being comfortable in saying when I wasn’t sure in times where I needed help, but demonstrating the energy that I would try to discover upon trying. I have seen too many times, and from the start of my career, where people aren’t comfortable with admitting to areas they need help in. It’s very critical to always be open to change, know when you need help, and ask for it. What was the most challenging part working in manufacturing in the pharma industry so far? I was trained in industry to aim for flawless execution, which equates to zero product loss, or at least a success rate of 98%. This implies that a manufacturing plant will have a 2% loss in product each year. There are always issues, which means you must always be ready, and design your teams to anticipate for the worst. This means you need to always design systems in place, so your teams can make rapid decisions where there are issues. The most challenging part is knowing how to design the process, where its ground up, where its empowerment from the operators, so that decisions don’t lose time and effort when its escalated. How did you decide to join Relypsa, a Vifor Pharma Group company, and what is your current role? I joined as I had to relocate for family reasons. Upon deciding to move back to San Francisco Bay area, Relypsa was hiring for a Director of Manufacturing Strategy. I remember the position resonated with me, as they were looking for someone with direct manufacturing experience to work with the contract manufacturing drug substance sites in Germany, and Austria. I truly believe that your work relationships in the virtual environment working with contract manufacturer sites are strengthened when one has lived in their “shoes”. You can understand what pains and challenges they face to make your product. The Life Science Leader article talks a lot about millennials, those born between 1980 and 2000. Millennials are more tech savvy and like to push change. How do you see the role of digitalization impacting and contributing to change and further evolution of manufacturing? This is playing out more and more as I have seen in the last 14 years. The manufacturing model has huge potential to change with all the IT disruption we have seen. For example, real time decision making is critical, and the possibility to make the decision without human intervention will be the future. The future is bright. I strongly can foresee how the future skilled operators will have more technology around them to help them decision make on the manufacturing floor. Digitalization is also becoming paramount in the supply chain world too. We have to start seeing how we are successful with these tools, and not think that it’s a replacement of people. Follow on from the above – would you predict that candidates coming from a broader range of disciplines than the traditional disciplines would have a place within manufacturing, within the future? If yes, which disciplines? I strongly believe that all disciplines have a place in manufacturing. If you think of anything you have, its comes from a production line – your car, computer, pens, bottle water, etc. Thus, if we just think about what we do, it helps the business and the bottom line when people understand what it takes to make a commercial product. Thus, the greater the pool of people in the company with different disciplines who try to understand what it takes to make product, and distribute, the better people are positioned to make their decisions in their own area. Each decision we make has an impact on cost, and cost builds up into the cost of the product. Which advice would you give a female, young professional who wants to start her career in manufacturing in the pharmaceutical industry? I always advise the following: stay focused, be open to learn from any position regardless if you may think you don’t need it, and find key mentors in your company. We must remember that you can learn more together. There is a threshold from how much you can learn on your own by reading. Stay active in meetings, and never shy away from asking questions. If we can encourage our leaders to make development an active focus, then it allows for the culture to follow it. It starts from the top. We as leaders must foster the mental attitude that we need inquisitive minds around always asking the question – why are we doing this? By asking, we allow the future to build what we have thought is impossible. This is my definition of entrepreneurship. Thank you very much, Tawni, for your time! Click here to read the original Life Science Leader article.